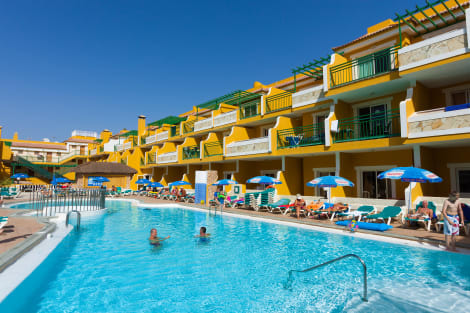 As one of the newest towns in the Canary Islands of Spain, Caleta De Fuste is packed with modern amenities and facilities, allowing you to enjoy yourself in perfect comfort. However, since less than a couple of decades ago, this area was merely a beautiful stretch of uninhabited coast. It still has a great wild feel to it, despite the tame nature of the child safe beaches. 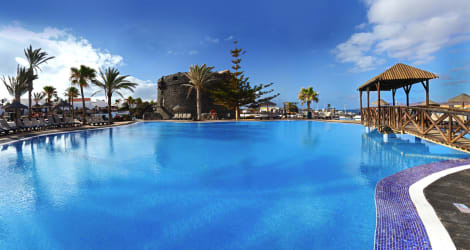 If you're looking for a wet and cold location... you're looking at the wrong destination page, this is Caleta De Fuste. With sun almost 365 days a year, this part of the world is a great beach holiday location. The main beach at this resort is man-made, which means that it comes packing exactly what you'd want from a beach front. It's sheltered, with a nice cool breeze and has beautiful clear, relatively shallow water in an enclosed bay. 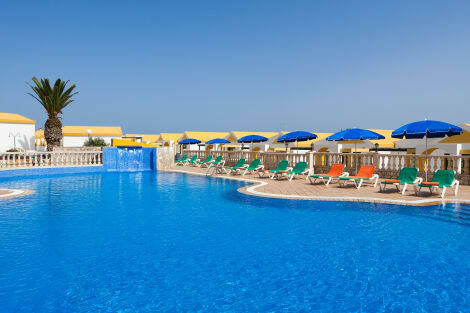 If you want somewhere nearby that offers al the peace and tranquillity of a quiet town, consider a Corralejo holiday. 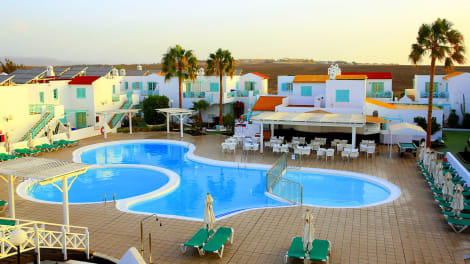 For those that like their beaches beautiful, sandy and white, check out holidays to Jandia - a resort nearby. Taking to the waves, there's snorkelling in the sheltered cove, allowing for some great underwater viewing. There's also water skiing, jet skis, boat trips and even a submarine that allows for a real taste of the undersea world. 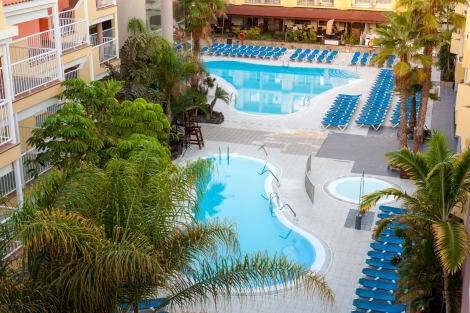 However if you like your water chlorinated, almost every hotel in the area comes with their own pool which lets you relax in the beautiful southern Spain sun, next to perfectly clean, fresh water, allowing for swimming as much as sunbathing. For golf enthusiasts there's a new course on the island that has restaurants, hotels and all the facilities you could hope for in a modern resort. There's also a new shopping complex if you want to leave your significant other on the putting green and enjoy a few hours apart. Here you'll find fine shops, a multiplex cinema and a brand new bowling alley. If you like to take to the hills, there are hiking, and bike tours, motorbike and quad bike hire with several miles of tracks that allow you to explore the island as you would like. 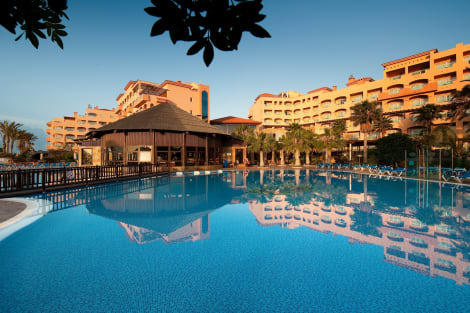 The best thing about booking a holiday to Caleta De Fuste with lastminute.com, is that it's affordable. This means you have that bit more to spend on your activities while there. 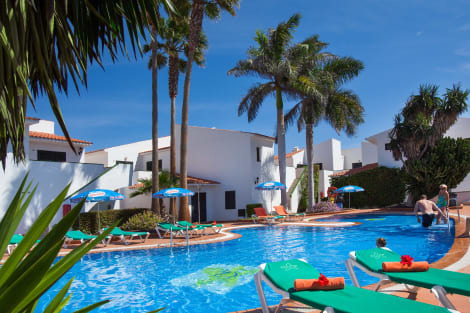 Whether it's in the hills, in the sea, on the beach or a mixture of all, you're set to have a truly fantastic time here; enjoying the top rate facilities in the beautiful sun.